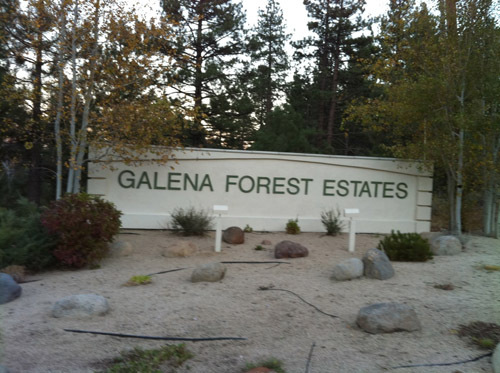 Welcome to the OFFICIAL web site of Galena Forest Estates – Unit One Homeowners Association. This website is managed by your GFE-1 board of directors, exclusively for the benefit of our residents and property owners. Use your web site for valuable and timely information about your neighborhood. Add it to your “favorites” or make it your homepage! Please take a tour and see the information and services that are now at your fingertips. You may write to the board, in care of the management company: Gaston-Wilkerson. 4751 Caughlin Parkway, Suite B Reno, NV 89519. You may attend any regular board meeting and speak for three minutes. Notice of Board meetings dates are mailed to you annually in correspondence sent from the Board. Board meeting dates are shown on the Calendar and Agendas for Board meetings are posted on this site. Your Board of Directors serves as volunteers, normally for a staggered two-year term. Your Architectural Committee is another important volunteer entity, appointed by your Board. Your support, cooperation, and participation in our neighborhood and association is sincerely appreciated. The next board meeting will be on November 13, 2018.